Bath time. My kids favorite time of the day. They can always count on a bath to wind them down for bed. Bath time can be boring without fun safe bath toys. I always want to make sure it is a time that my children look forward to. 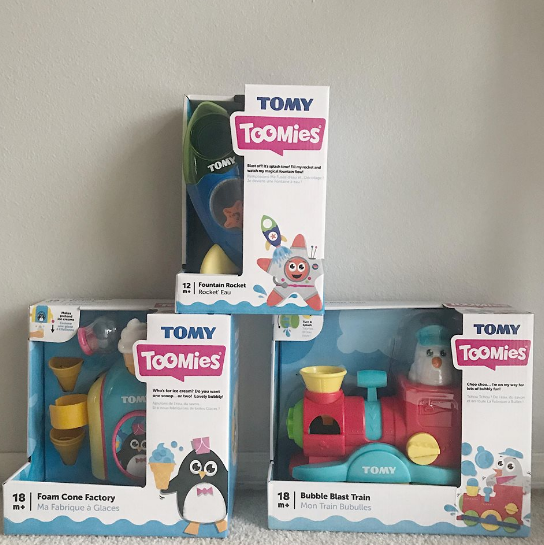 Thankfully, I was sent some amazing bath toys from Tomy that my little ones absolutely love! The Tomy Toomies Foam Cone Factory Water Toy turns bath time into fun time. Just add bubble bath and water. Your little one can pull the lever to create pretend ice cream cones, complete with pretend sprinkles. Easily adheres to wall with suction cups. It’s great for children 18months to pre-K. My son even loves it and he’s 4.5. Bubble Blast Train from Tomy is awesome. Just pour in the bubble mix and pull the lever to release a burst of bubbles. Colorful train easily adheres to bathroom wall with strong suction cups on the back as well. 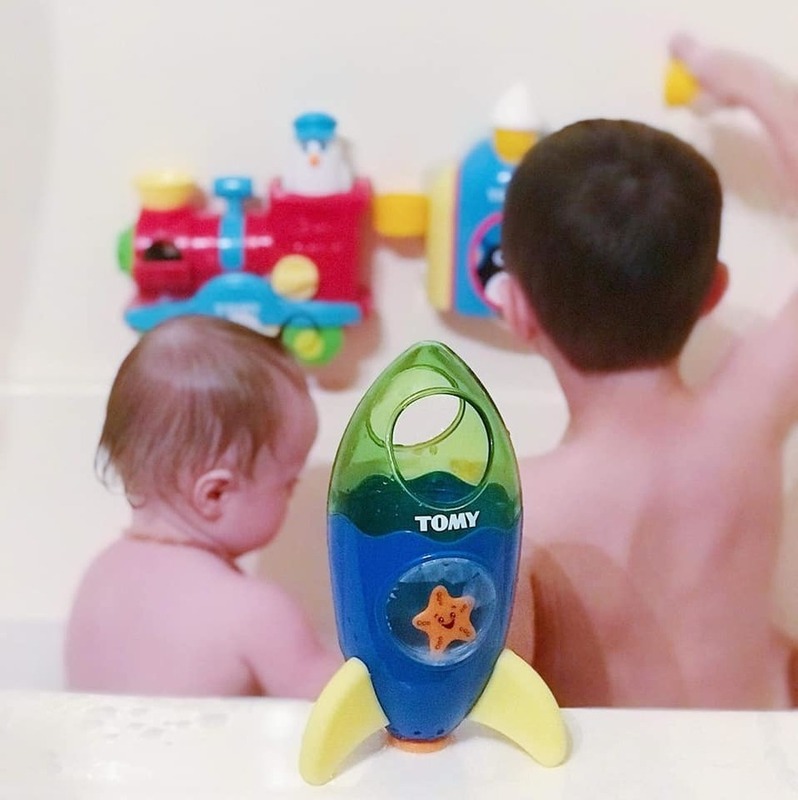 With these incredibly fun bath toys from TOMY, my children never want to get out of the tub! .Disclaimer: I received products from TOMY to review. All opinions are my own.